This week went by pretty quickly. Husband and I are still getting back into our routines after being gone on vacation. I did do a post kind of outlining our trip. It's linked below if you're interested in hearing more about it. Friday night we went to see Mockingjay Part 1 and went out to eat. My niece and nephew joined the normal crew, and it was so fun to see the next generation of readers be so excited about the movie. (Although neither one of them have actually read The Hunger Games yet. They both love the movies.) Saturday morning I got my hair cut. It was really just a trim, but even that makes me feel like a whole new woman. Of course, next week is going to be super busy for us. Happy Thanksgiving! 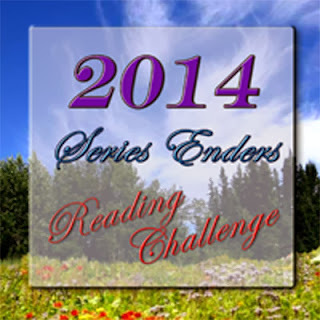 Don't forget to sign up for the 2014 Series Enders Reading Challenge! You have until December 15, 2014 to sign up. Each month there will be a giveaway for those participating with a BIG giveaway at the end of the year! Click on the picture below or the link above to find out more! 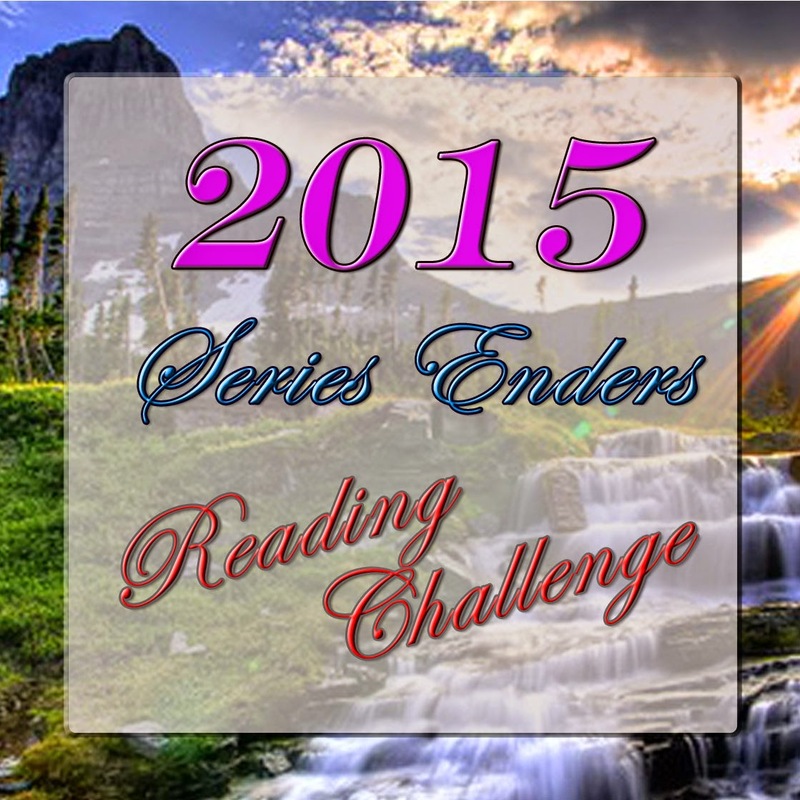 Also the sign up for the 2015 Series Enders Reading Challenge is already up! You have until December 15, 2015 to sign up. Click on the picture below or the link above to find out more! Stormie brings home the truths and the wonder of God's promises. 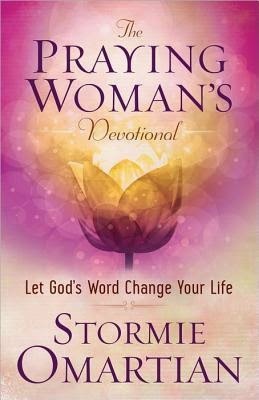 This gathering of devotions from "The Power of a Praying Woman Bible "shares Stormie's heart and the foundation of God's Word to provide a source of spiritual encouragement and strength for every reader. I hope you have a great week, Sandy! Happy Reading!! I really enjoyed reading about your vacation, it sounds like you had so much fun! It's always difficult to get back into your routine after a vacation. How was Mockingjay part one? I hope you have fun next week with thanksgiving. Here we don't celebrate thanksgiving, but I enjoy hearing about those holidays they have in the US and not here. I saw the Hunger Games movie (the first one), but haven't seen Mockingjay...I didn't read the books, but sometimes I love movies even without reading the books. I have the first Hunger Games book on my e-reader, but I haven't gotten around to reading it yet. I did see the movie and liked that. I missed the second Hunger Game movie and hope to watch it this weekend. Love the devotional, they can be so inspiring. It really does make a great difference. Thanksgiving through New Years is my favorite time of the year as well! I hope you have a great week and thanks for stopping by and commenting! Thanks Lola! It was a lot of fun, and it was the relaxation that my husband and I really needed! Mockingjay Part 1 was really good. I did a "kind of" review on it yesterday. I didn't really have any major complaints, but I haven't read that book in a long time either. Yeah, I do that sometimes too. I saw Gone Girl in the theater even though I haven't read that book. I enjoyed the movie, but it didn't really make me want to read the book. Thanks for stopping by and commenting! Oh I highly recommend The Hunger Games if you ever get a chance to read it. But the movies are really good too! Thanks for stopping by and commenting Yvonne! Oh Catching Fire was really good. I hope you're able to check it out soon! I'm definitely looking forward to the devotional, but I'm not 100% sure when I'm going to start it! Thanks for stopping by and commenting Kimba! I loved Catching Fire and also watched Divergent. I actually liked that series better than Hunger Games when reading them. Curious to see which series I'll like more once I've seen all of the movies. I enjoyed Divergent probably more than The Hunger Games, but both series went downhill for me after the first books. I liked the other books in the series, but the things I liked most about each series were moved away from as each series progressed. Thanks for stopping by and commenting Laura! It is cool to see the younger kids get excited about the movies. My son is 17 and read the books as they came out, so he tries to tell the kids like 5-6 years younger to read the books first. lol. Have a great week and enjoy your books! I enjoyed reading about your vacation! I'm glad it was a relaxing time for you - and that you enjoyed seeing Mockingjay the other night, as well. I haven't seen the Hunger Games movies yet, but I suppose I will have to catch up at some point! I didn't love the Mockingjay book as much as the rest of the series either, but they have done a good job on the Part 1. I have faith that they'll finish strong with Part 2 as well! Thanks for stopping by and commenting Louise! Oh yes. I've read so many of the Power of a Praying books...I've never done one of her devotionals yet though. Thanks for stopping by and commenting Brandi! Thanks for stopping by and commenting Nyze! Hehe...I love to see that too. That's awesome! Thanks for stopping by and commenting Christy! I need to re-read them too. I too binge read them all. I bought the trilogy as a combo pack for kindle so when the first book ended I just kept reading. And so on until I finished! Thanks for stopping by and commenting! Me too Katherine! Both my niece and nephew enjoy reading, but not to like the level that I do. But I do hope they continue to want to read as they grow up. I hope your preschooler does too. I've really enjoyed The Hunger Games movies so I hope you get a chance to check them out soon. Thanks for stopping by and commenting! Thanks Lark! It was exactly what we needed--the vacation. I definitely recommend watching the movies at some point. I've been pretty impressed with them. Thanks for stopping by and commenting! I definitely love seeing kids turn into readers. 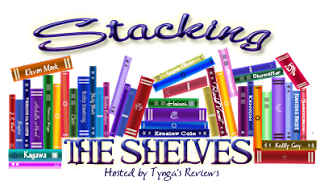 2 of my 3 teenagers are (one even works in a bookstore) and I'm hoping the preschooler will keep his interest in books as well! Even though I have read the book I've yet to watch the Hunger Games movie. I've heard it's fantastic though. Hope you enjoyed Mockingjay. Have a great week!